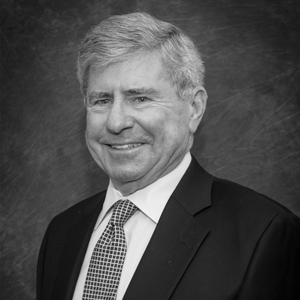 Reid Hudgins, one of the firm’s senior partners, has accumulated over 47 years of corporate, estate and business experience involving small, medium and large clients. That experience has provided a special perspective to the requirements of his profession. He can credibly state that he has probably encountered just about every conceivable situation an attorney can face. Nonetheless, Reid still applies the same principles to his client relationships as he has throughout his career – giving full attention to their needs and always striving to provide a prompt resolution to any matter. Reid is particularly adept at business representation, including healthcare, and estate planning and administration. He has also set a high standard for the younger members of the firm in terms of giving back to the community. His list of activities is impressive, holding critical leadership roles, currently or in the past, for several area community organizations.